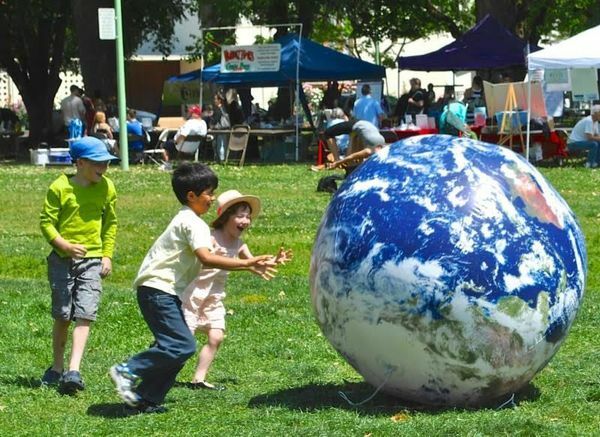 Celebrate our amazing planet at this annual community event! 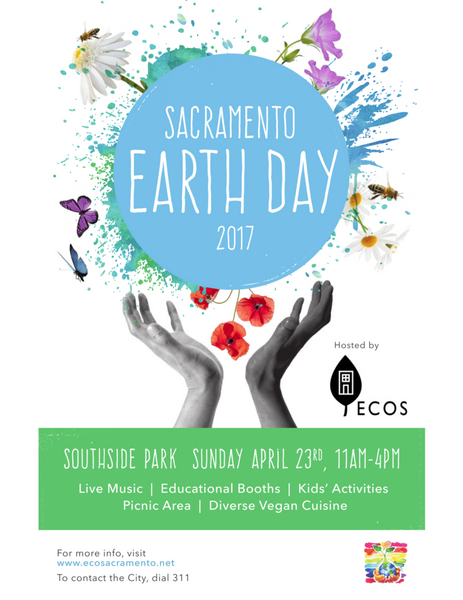 The Sacramento Vegetarian Society, as a member organization of the Environmental Council of Sacramento, is once again organizing Sacramento Earth Day’s all-vegan food vendors (list below) and the children’s activity area. VOLUNTEERS NEEDED! Help us spread the word at our educational booth about how what we eat plays the major role in this year’s Earth Day theme: Environmental and Climate Literacy. This is one of each year’s most enjoyable volunteer tasks! No experience necessary, just a willingness to spread the word to thousands of visitors about the most sustainable (vegan) steps we can all take for the earth, at a festive community event in beautiful, 20-acre Southside Park. To sign up, leave a note below or send a message to one of the event hosts.